The only surf camp on the beach! 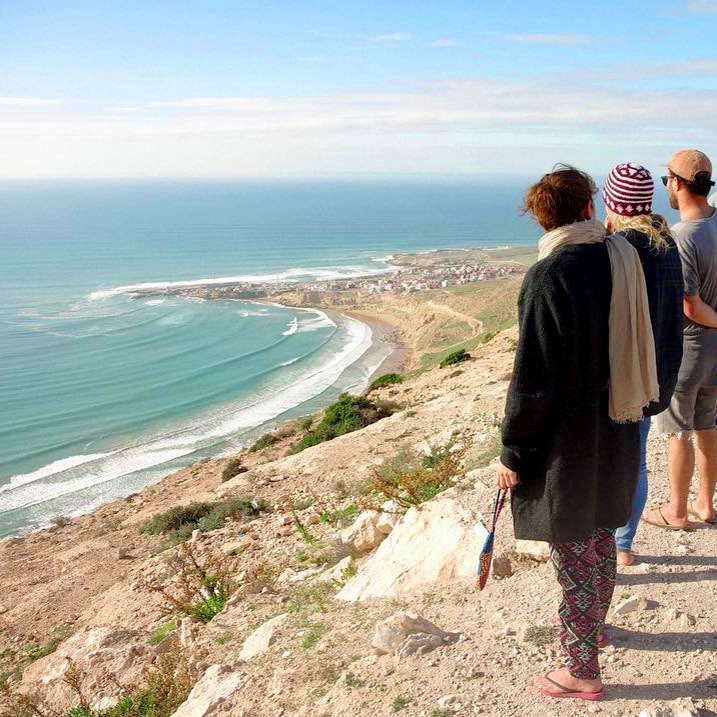 Zen Surf Morocco Surf Camp & Yoga welcomes you in our beautiful beach house in the South of Morocco near Agadir in the Taghazout area for the ultimate surfing and cultural immersion. With years of experience and success, we provide the most relaxing and stress-free surfing and yoga holidays for every needs and every level, with the rich Moroccan culture in the background to make sure you catch its essence. Our qualified top-level surf coaches and guides will make sure you have nothing but fun in the water while our staff in the house will treat you with personalised service and delicious food. Located right on the beach and surrounded with banana fields, our surf camp offers modern amenities and European standards. The super friendly Zen Surf Team will make sure you spend an unforgettable time with us! 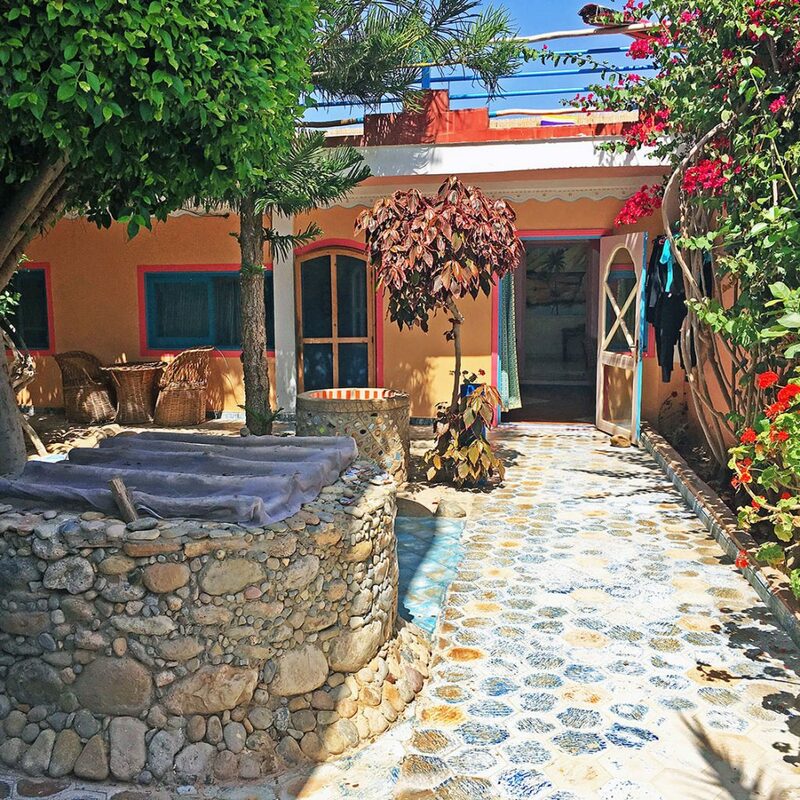 Just 40 minutes from Agadir airport, you will be welcomed in our beach house facing the ocean in Banana Village in the Taghazout – Tamraght area, with an unbeatable view of the famous Banana Point surf break. Whether you’d like to relax in our large moroccan living room, lay down on a deck chair, have a yoga class on our beautiful rooftop terrace or have a mint tea on the balcony watching a gorgeous sunsets on the ocean. We will make sure you feel at home during your stay. Whether you are a full beginner wanting to learn or an experienced surfer willing to discover the breaks of our coastline, be sure that there is a package for you. Once you’ve chosen the one matching your expectations, our team of friendly surf coaches and surf guides will do the rest to make sure you surf the right spot at the right time according to your level. Our coast has everything a surfer dreams of, from easy beach breaks that accommodate beginners and intermediate surfers to powerful point breaks for the more advanced surfers. At Zen Surf, we have chosen to offer you the possibility of learning yoga or improve it in addition to the practice of surfing. First because surfing and yoga harmonise perfectly (yoga being very useful to acquire the flexibility to perform surfing maneuvers and to recover quicker after the effort of a day’s surfing). But also because the combination of yoga and surfing in an ocean-side Moroccan oasis of peace matches the idea that we have of active and yet relaxing holidays. Indeed, more and more people need to refresh their body and mind that are too often tired by a stressful lifestyle. Little paradise on the beach, facing the waves. A typical day: watching the sunrise from the terrace of the surfcamp, breakfast, 1st surf session on the spot best suited to your level, lunch on the beach, 2nd surf session, yoga, sunset, dinner (succulent! ), beers with everyone. There is no better way to disconnect! Superb Stay and Surf with the whole team of Zen Surf for their kindness, expertise, yoga, surfing, superb discussions, the kitchen of madness, and your joie de vivre! I reserve the same dates for 2019 again! Looking forward to seeing you again, it's a real discovery and blow of heart !!!! an exceptional spot for beginner and experienced surfers.